Jennifer Aniston is ready to meet someone and fall in love again? Jennifer Aniston's love life has always remained the topic of discussion among her fans and well-wishers. Jennifer Aniston's love life has always remained the topic of discussion among her fans and well-wishers. After divorcing Justin Theroux in February, Jennifer is apparently doing fine these days and as per a recent report, she is reportedly ready to fall in love again. 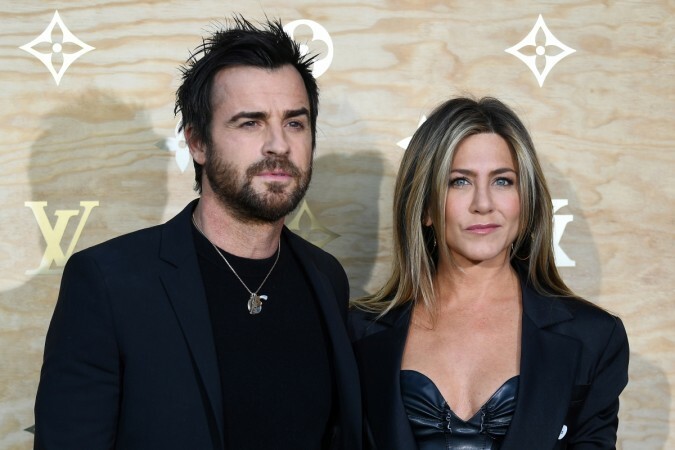 A source recently revealed to Us Weekly that after ending her marriage with Justin Theroux, the Friends TV series starlet is ready to date again, but will not rush into anything. "She hasn't given up on love. It's not in her nature to give up or be negative," a source revealed. "She would love to meet someone and fall in love again. She's not skeptical about it and is open to dating. But she's not trying to force it." Jennifer Aniston and Brad Pitt ended their marriage in 2005, and the actress waited a long time to marry again. She started a relationship with Justin Theroux in 2011 and got married in August 2015 at their Los Angeles estate. So, it is totally understandable that the actress wishes to wait and not rush into anything. "She's not thinking too far ahead or really focused on finding love," the source further added. "She loves being able to love her tribe of women friends and her dogs. That's very fulfilling for her." Jennifer Aniston's life has not changed all that much after splitting with Justin. As per the insider, the Murder Mystery movie actress goes out to a dinner with her friends. "She's truly a homebody and just enjoys being home, having friends over and taking care of herself." There are still few who speculate that one day, Jennifer will resolve her differences with her former husband Brad Pitt and will reconcile with him. As reported earlier, Brad Pitt and Jennifer's reunion is not going to happen. At the same time, she has made peace with Justin Theroux, but it took her a therapist who helped her to finally move on in her life. "She's doing her thing exactly the way she wants to do it and really enjoying life," an insider recently explained. "(She) believes that whatever her path is, it will present itself the way it should." As of now, Jennifer Aniston is single and not dating anyone, despite several rumours that alleged that Jennifer had a romantic endeavour with Leonardo DiCaprio.